A He doesn’t want to sell his things. B He needs to decide what to do with his possessions. C He wants to take everything to England. Which of the items below does Harry want to sell? Where is Harry going to advertise his books for sale? A In the university bookshop. B In the student newspaper. A they’re all doing the same thing. B they live at home. C it’s the summer vacation. A may not pay well. Complete Harry’s notes using NO MORE THAN TWO WORDS. Complete the Fitness Centre brochure using NO MORE THAN TWO WORDS. Canada has many different ethnic groups: eg Toronto has large —————and Asian populations. Seminar to compare Canadian food trends with —————and UK. Complete the table below. Write ONE WORD OR A HUMBER for each answer. 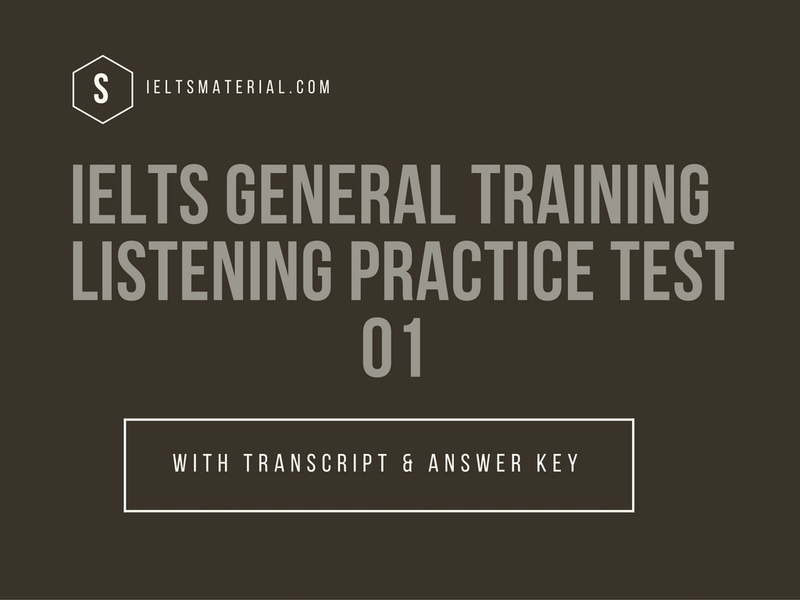 Complete the lecture notes using NO MORE THAN THREE WORDS for each answer. Public speaking means speaking to ____________ people. Lack of confidence usually due to ___________ . First part of public speaking is ___________ . Project your voice – rehearse and _____________________________ . H Hi Andrea, how are you feeling now that exams are over? A Its fantastic to have finished isn’t it, and to sleep in every morning! What about you? H Well I’ve been catching up on sleep too. But I’ve got a lot to do before I leave for England. Perhaps you could give me some advice? I’ve cot a tot of things I can’t nossiblv take back with me but I don’t know what to do with them. A Well it depends on what sort of things they are and whether you’re thinking of giving them away or selling them. A Why can’t you take them? H The books are really heavy – its so expensive if you exceed the airline baggage allowance. And the clothes just won’t all fit in my suitcase, its amazing how much stuff I’ve accumulated since I’ve been here. Anyway I don’t think HI need as many summer clothes in England as I have here in Australia! A I see. Well there are several alternatives. First of all you could put up notices around the university about the books, – you know on the noticeboards in the student union building, and in the economics department, anywhere second and third year students will see them. People are always keen to buy cheap text books. H OK. What should I say on the notices? A Oust put the titles, authors and price you want…your name of course, and maybe put your phone number on those little tear off tags. H That’s a good idea. And what about the furniture? A Another alternative is to put an advertisement in the Trading Post. Do you know that paper? It comes out every week, advertising things people want to sell. You have to pay to put the advert in and then hope people phone. Give them as much information as possible and if they’re interested, invite them to come and have a look. The hard part is agreeing on a price. H No I haven’t seen the Trading Post, but I should have a look at it. and I could advertise the fridge, the microwave, and the furniture. But the kitchen stuff isn’t really that good – you know, old cutlery, a few pots and pans, and some plates and things. What shall I do with them? A Well another option is to donate the kitchen things to a charity shop, you know like the Salvation Army or St Vincent de Paul. Why don’t you get a second hand shop to give vou a quote first? H Yes I could do that – find out how much they’ll give me and then decide whether to sell them or give them away. But I’ve still got the clothes. A A charity shop will take them too, as long as they’re in good condition. And even though you don’t get any money at least you know that someone who really deserves some help has benefited. A Well……actually I’m interested in buying the fridge and the microwave, depending on the price of course. H OK. Lets see how good you are at bargaining! C Hello Is that Ms Heidi Jones? C Good morning Ms Jones, I’d like to take a few minutes of your time to tell you about the Sevenoaks Health and Fitness Centre which is in your suburb. Would that be convenient? C Well the centre’s not far from you, it’s on the comer of Marion St and Giles St. and has a large carpark. It’s open every day of the week, opening on weekdays at Sam and at 9am at the weekend. It doses at 9.30 pm Monday to Friday, and on Saturday at 4pm and Sunday at 2:00 pm. We also have childcare, Monday to Saturday from nine in the morning until midday for a small extra charge, so you can leave your children in safe hands while you attend one of our classes, or perhaps have a swim, or if you just want to relax in the spa and sauna or steam room. Talking of classes we have a very wide range which are designed to suit all different levels of fitness and individual needs. I mentioned the pool just now; well in addition to swimming laps or just relaxing we also offer aqua aerobic classes, which are 45 minute classes that use the therapeutic effects of water. This provides a very safe and effective exercise and is suitable for all fitness levels, as well as being a lot of fun. Many people who haven’t been exercising far a while start in the aqua classes, as do people who need to take care after hospital surgery fen example. These classes are very popular and are scheduled every weekday, Monday to Friday and on Saturday afternoon and Sunday morning. Another very popular activity in the pool area is learning to swim, and these swimming classes are held at 4pm every weekday and in the maim at the weekend, By the way they’re open to both adults and children of any age. E Well I think the marketing of food would be a good topic. I lead a very interesting article the other day about the Canadian food market. M Mm I suppose everybody’s interested in food, even if it’s trying NOT to eat. Why Canada? I know that’s where you come from, but isn’t it just all North America really? understand these differences, it can have a trig impact on successful food marketing. M So I know that Canada has a big French-speaking population in Quebec, is this what they’re refening to? E Not only Flench and English speakers, there are many different ethnic groups in Canada. It’s really quite multicultural. For example, Toronto has large Asian and Italian populations, and Vancouver’s get a large Asian population too. And because Canada’s population is small, these groups mike quite an impart, introducing new styles of cooking. So you can see lots of unfamiliar vegetables and things in the markets and new restaurants are opening every day. It’s great if you love trying out new foods, as many people do! M Which kinds of food are becoming popular? major national supermarket chains, so that when they introduce changes they can happen quite rapidly. M OK well how are we going to organise this seminar then? E I made some notes on the trends in the Canadian market, about changing tastes and also patterns for where food is consumed. I thought maybe we could summarise it into a chart or table and maybe use the overhead projector to present it. H Good. idea. Maybe I could have a look for similar trends and tastes in Australia and the UK, for comparison. Let’s have a look at what you found. E The most significant trend it seemed to me was that Canadians are definitely interested in healthy food. For example, did you know that salads are the third most commonly eaten, food in Canadian restaurants? M Really! What about organic food then, is that becoming more popular? E Yes, it’s definitely moving into the mainstream, compared to a few years ago. And, a recent survey showed that 4 out of 5 shoppers said that they check the fat and nutritional information on the packet when they are deciding what to buy. M What other trends did you find out? ribs, so the government approved a new naming system for cuts of meat, which is related to the required cooking technique. M What a good idea. I’ve never really understood the difference between sirloin, rump, round and all those names. So how many new categories are there? E Eight There are three kinds of steak – for grilling, for marinating and for simmering, and then there’s what they call ‘quick serve’ beef, for stir fries I suppose, and premium oven roast, oven roast, pot roast and stewing beef. It’s a great idea isn’t it? I hope it catches on here. M I agree! Any other trends that you thought were significant? E Well what’s ready interesting is what the article called ‘mobile meals’. In other words more and more Canadians are eating meals away from home, but NOT just eating more junk food. They are projecting a 40% increase in the snack food sales over the next three years and the growth is coming from healthy snacks – you know the ones that have less cholesterol and fat, such as muesli bars, health food bars and those types of products. Apparently in the food marketing jargon they are called “nutritious portable foods” which means healthy snacks! The other major trend is that young people are doing more of the food shopping these days so marketing has to be aimed more at them, as well as more conventionally at the mother. M Thanks Evelyn, I think we’ll have an interesting discussion about these trends and the comparisons with other English speaking countries. I’ll see if I can get some information about them to compare with yours, and meet you on Friday to put it together. E See you then, bye. Good afternoon everybody and welcome to the first in a series of talks we have arranged for the Overseas Students’ Association this semester. Doctor James has very kindly agreed to speak to us today on the topic of public speaking, and judging from the large numbers of you here it is clearly a subject of great interest and relevance Dr James. out and shoulders back, try to avoid scratching or fiddling with your hail or beard, or pens, jewellery and so on. These movements can distract and irritate your audience, yet you may be unaware of them yourself – another reason for rehearsing, preferably with feedback from a friend, or better still on video. I hope these few tips will make your experience of speaking in public a little easier – remember ‘practice makes perfect”!